Not all property managers are the same. A good property manager can make you money and make life easy. A bad one can lead to stress, grief and more often than not, cost you tens of thousands of dollars – lost rent, property degradation due to poor maintenance and you could be exposed potential liabilities. Unfortunately, in most cases you do not realise that you have appointed the wrong property manager until the damage has been done. That is why it is important to select the right property manager. 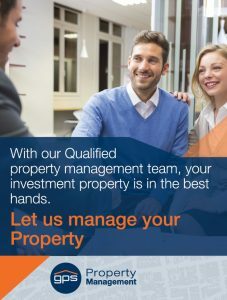 A GPS property manager’s interests are aligned with your interests and those of your property. We ensure the best outcomes for you and your property. Our experienced management team is 100% focused on property management and providing you the benefits through the performance of your property. The team at GPS Property Management look forward to further assisting you with your residential and commercial real estate leasing needs.